As enterprise mobility increases, many organizations are looking to high-density wireless LANs (WLANs) to meet the demand. While building the network may be more straightforward, many network engineers are not ready for the after-implementation issues that are likely to arise. 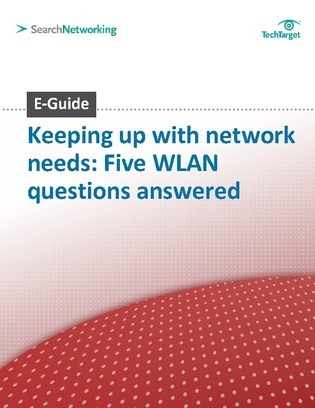 In this E-Guide from SearchNetworking.com, wireless expert Lisa A. Phifer takes a look at the top challenges in the WLAN environment and answers our readers’ top after-implementation WLAN questions, touching on topics from Wi-Fi vs. cellular to unauthorized access and security.